Note: As of 03/04/2019, Tilemancer is officially no longer in development. A spiritual successor called Tilesetter is being made, and you can learn more about what awaits in the future here. 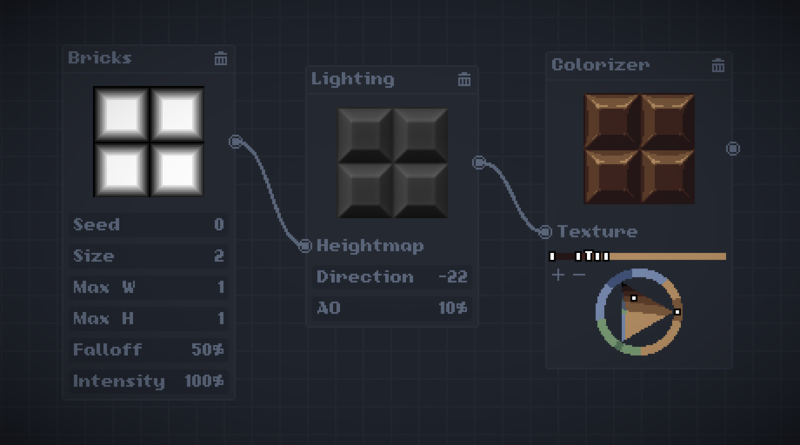 Tilemancer is a quick procedural tile creator designed for pixel-art games. Perfect for game jams, prototypes, texture mods, and more. You can design tiles using a node-based approach in which a heightmap is created and later shaded by the program. 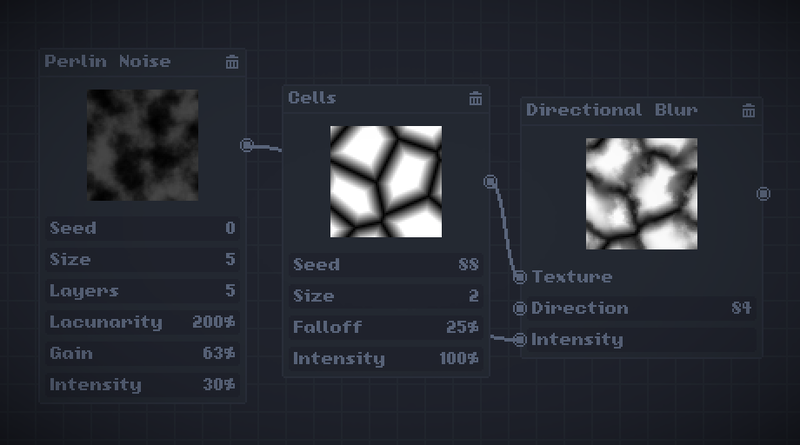 The program features a collection of noise generators, filters and presets, giving you freedom and speed when creating your own tiles. All nodes and presets are programmed in Lua, letting you create and modify effects. Head to the Discussion Board for tutorials on how to use Tilemancer and how to create your own nodes. Consider supporting Tilemancer's development on Patreon. StickyThe end of a journey. The start of another!